Sutherland Scotland- tel: to book Wild-fowling Geese and Duck only over loch, my keeper will be available to take you out. We have access to 33 duck and wildfowl shoots in a variety of UK locations accessible as long as BASC membership we pay so many visits variable costs apply to each Marsh or club see list below. Listing of wildfowling club shoots and there locations plus contact details. Please ensure you are familiar with the respective rules and regulations of each of these wildfowling clubs we need to ensure good relationships with them at all times please report back to me and the club ‘contact’ let me know your bag for the day, note there may be restrictions on how many duck geese you may take and what and where you can shoot and can’t due to tides and weather severity. How it works, you choose where you want to wildfowl we will pick up part of your cost on receipt of proof of payment we will reimburse you up to a maximum of £40.00 per season only. unless stated otherwise. Dorset Wildfowlers’ Association for shooting & Conservation. Contact: Mr. S.K.Russell, 42 Fitzworth Avenue, Poole, Dorset, BH16 5AY. Permit Available: £20.00 per day. Cheques made payable to Dorset Wild Fowlers’ Association. Application Details: Application forms can be obtained from the Wildfowl Officer, Mr. S. Russell, by post only. You must provide a copy of your shotgun certificate and BASC membership card together with a passport photograph and details of other wild fowling clubs you may belong to. Additional Information: Access to all club marshes by boat only. Returns to be sent to Permit Issuing Officer and to our HO. Visits Allowed at Our Cost: 3 only, but you can make your own arrangements and visit subject to application details. Contact: R.M.Prowse, English Nature Site Manager, Dowells Farm, Steart, Combwich, Bridgewater, Somerset, TA5 2PX. Tel: 01278- 652426. Permit Available: There are no fees or charges and permits are not required. However pre-season notice of your intention to shoot would be appreciated and visitors should contact the site manager for further information and advice. No Sunday shooting. ‘Excepted Area’ – intertidal mudflats – is shooting for BASC members available. Contact site manager (address above). Additional Information: A map and reserve leaflet is available from the site manager or from English Nature, Rough moor, Bishops Hall Taunton, Somerset, and TA1 5AA. Access and parking are available behind the sea wall at Stolford (Grid Ref 233459) Guns must be unloaded when not in the ‘excepted’ area. And lead shot is strictly forbidden. Please Note: The mudflats can be treacherous and it is advisable you keep on the rocky foreshore. As there are no guides available, it is essential a preliminary visit is made in daylight. Visitors should also be aware that unexploded bombshells may be found on the foreshore, please don’t touch but note location and inform police or Site manager immediately. Visits Allowed at Our Cost: Unlimited as no cash involved. Contact: Paul Wallace (Hon Secretary), 10 Trencreek Close, Trispen, Truro, Cornwall, TR4 9RA. Tel: 01872-241704. Permits Available: £40.00 only but if you wish to become a member of this club we will pay £20.00 towards your full season permit. (Tuesday, Thursday, and Saturday subject to change). Applications from Paul Wallace details above, by post or phone. Cheques made payable to C.W.A. Returns: Send these to Mr. J.Vernon (Hon Treasurer), The Old Chapel Rose Melling Luxulyan Bodmin. Cornwall, PL30 5EQ. Tel:01726-850325. Additional Details: Cornwall Wildfowlers’ Association has signed a four-year license to shoot on the estuary from the Dutchy of Cornwall. Each member holding a permit can make ten visits per season. There are 37 permits available, shooting from the foreshore only. Additional Information: New members need to be accompanied by an existing club member on the first visit to the estuary. Contact: Mr. Haydn Jones Victoria Cottage, Gossington, Slimbridge, Gloucestreshire, and GL2 7DN. Tel: 07740-563808. Permits Available: Permits available daily (£20 daily). Application by post to Mr. H.Jones as above, together with photocopy of shotgun certificate and BASC membership number. Payments by cheque to Gloucestershire Wildfowlers’ Association. Additional Information: The Leicestershire Wildfowlers’ Association welcomes BASC members to shoot on their grounds. Due to an association requirement for shooting members to complete a wildfowl ID course and test, all guests will need to be accompanied by a current GWA member. They will endeavor to accommodate all requests. Visits allowed at Our Cost: 2 and any other visit’s are at your own cost. Additional Information: Young shots welcome to apply for permits. Please provide a copy of shotgun certificate and BASC membership. Applications will only be accepted with the written consent of parents, parent to accompany. Visits at Our Cost: 2 only if you wish to go yourselves you pay rest. Contact: Mr. R.Bays 12 Wolfreton Villas, Wolfreton Lane, Anlaby, Hull, HU10 6QS. Permits Available: weekly only at £7.00 for 7 days subject to change. Application Details: Please apply in writing only, 14 days in advance, enclosing a photocopy of you shotgun certificate and your BASC membership card together with a stamp addressed envelope (9” x 4”). Cheques made payable to Hull and East Riding Wildfowlers’ Association. Please note cash will not be accepted and applications by telephone or in person will not be considered. Additional Information: 3 access points and no shooting areas are marked on permit. Greenshore behind seawall not included in permit. Wildfowl returns MUST be on both permit and Crown foreshore permit return (supplied). Wildfowl returns to be sent to Mr. Bays at the above address. Non-toxic shot disclaimer (supplied) and must be signed and returned to club secretary. Permits Available: Day permits for BASC members living in East Yorkshire and also a limited number available for non residents (Mon-Fri) at £6 per day (subject to change). Permits are issued between October 2005 –24th December 2005 and after 2nd January 2005/6. Maps of areas will be given on application of permit. Application Details: 7 days notice required. Applications by post to Mr. H.B.Upton (as above). Should include alternative dates and photocopies of current BASC membership card and shotgun certificate. Please make cheques payable to Hull-East Riding Wild fowlers. Wildfowl returns to Mr. H.B.Upton. Additional Information: Non Toxic Shot please. Contact: Mrs. K.M.Scott Permit Officer, 42 Barnston, Ashington, Northumberland NE63 9TY. Tel: 01670-819859. Permits Available: Season Permits only - £40 the fee includes the cost of a Wildlife Habitat Trust Stamp. Which is Mandatory and must be displayed on the permit. Application Details: Applications will be accepted from the 1st of July onwards and should include a stamped S.A.E. 6.5” x 4.5”. Payments should be attached to completed permit application form. Cheques payable to English Nature. Priority is given to previous fowlers who have visited and traditionally shot at Lindisfarne. BASC Membership number required on application. Additional Information: Permit use on Lindisfarne is controlled by a strict set of rules, which will be supplied with the permit. After the close of the season, the permit must be returned by the 7th of March together with your shoot return details. Failure to do so could result in a 3-year ban. Application Details: Applications by post to B.Hodgson (address as before). Must be a full BASC member. Applications should include a copy of BASC Card and shotgun certificate. Cheques payable to South Solway Wildfowlers’ Association. Additional information: all marshes except Rockliffe. Must be accompanied by a full member. 10am to 2pm shooting bans on Skinburness and Newton Marshes from the 1st September to 31st December. Must sign lead shot disclaimer. Wildfowl returns to be sent to Mr. Reynolds, Avimore, 16 Low Seaton, Workington Cumbria, CA14 1PR. Contact: Mr Douglas Moore (secretary) 16 Folkestone Avenue, Walney Island, Barrow-in-Furnes, Cumbria, LA14 3BE. Tel:01299- 473721. Additional Information: Visitors are allowed to shoot on Walney Island Wildfowlers’ land only when accompanied by a member. They must live outside a 20 – mile radius of Barrow-in-Furness. 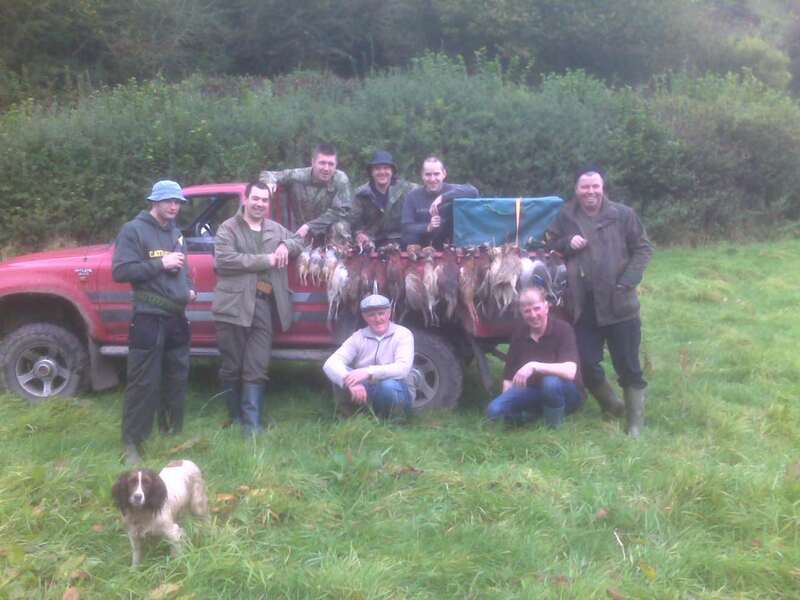 Northumberland and Durham Wildfowlers’ Association. Permits Available: Seasonal permits available -£15.00 per season plus WHT stamp. Photocopy of Shotgun Certificate and BASC membership number to be included with application. Payments to be made by cheque to Northumberland and Durham W.A. Application by post or telephone to Mrs. K.M. Scott (address above). Wildfowl returns to Mrs. K.M.Scott. Additional Information: Site consists of north and south foreshore on Tweed estuary either side of the A1 road. Quarry species mainly mallard, widgeon and teal, some snipe (game license required). Maps will be issued with permits. No shooting of Goldeneye on Tweed. No shooting between 10am and 3.00pm. No shooting on Webs count days (middle Sunday of each month).Visits at our cost: we pay your membership plus you can still visit 2 small cost fowling areas or 1 expensive one. Contact: Mr. S.Lowe (Secretary) 34 Burringham Road, Ashby, Scunthorpe, N.Lincs DN17 2BB.email address: s.lowe3@ntlworld.com. Application Details: Applications for permits by post or email only to contact above BASC Membership card and Shotgun Certificate photocopies please, payments to A.W.A.C. Permits Available: Daily permits only (two flights). Permits are limited and at least seven days notice is required and applicants should include alternative dates. If dates are not available, money will be returned. A.W.A.C. members must accompany permit holders. If you do not know one the secretary will try to arrange it. Additional Information: Visitors will require a passport photograph. Access points and shooting areas will accompany permit. A non-toxic shot disclaimer (supplied) must be signed and returned to Secretary. Please supply large SAE. With all application. Wildfowl returns must be completed and returned to above secretary by 1st March 2005. If nothing is shot, visits must be recorded. Contacts: Mr. Stewart Whitlam, 67 Tower Street, Gainsborough, Lincolnshire DN21 2JE. Tel:01427-612822. Permits Available: Day permits available (Mon-Fri) £6.00 2 flights. No permits issued in September or between 24th December to 2nd January. Application Details: Application to above by post only, bookings to be made 7 days in advance, include photocopies of BASC card and Shotgun Certificate pay South Humber Area Joint Council. Additional Information: Dog is required for recovery returns to above address please. Contact: Mr. G. Wall, 33 Chapel Road, Harborough, Immingham, N.E. Lincs, DN40 3AE. Tel: 01469-574364. Mobile: 07768-981387. Permits Available: Day permit -£7 (midnight –midnight) or £35 per week (Mon-Sun). No permits for September 1, December 25 or 26, official holidays run midnight to midnight. Application Details: Applications for permits by post only to Mr. G.Wall as above. Permits are limited and applications must be made at least 7 days before required. If the quota of permits has been issued for the date’s required or alternative dates not given, both money and card will be returned. Applications by post only together with a photocopy of shotgun certificate. And BASC membership card. Please make cheques payable to S&H Wildfowlers’ Association. Additional Information: Failure to comply with any of the rules printed on the permit, or any breach of shooting discipline will result in withdrawal of permit and permanent refusal of any future permits. If it is your first time on the Wash marshes it is advisable to inform Mr. G.Wall. Wildfowl returns should be sent to Mr. G.Wall as above. Lincs, NG34 8LE. Tel: 01529-414469. Permits Available: Daily, weekly ad seasonal permits available. Daily permits from £5, weekly permits from £25, and seasonal permits £105. First year of new membership is £115. Wildfowling on various marshes around the Wash. Various options are available based on location. Contact Mr. T. Inman (address above) for full details. Wildfowlers’ Club. Photocopy of Shotgun certificate and BASC membership card required. General Information: All permits are issued at the discretion of the officer. Bag returns must be completed and returned within 14 days after the visit, even if no birds are shot. Shotgun certificate, BASC cards and permits must be carried at all times during the visit to all marshes. The permit holder is obliged to show these documents to another member of the club, police or landowner if required to do so. St. Clement, Kings Lynn, Norfolk, PE34 4PU. Tel:01553-828097. Permits Available: Day permits - £7.50 per day £3 juniors. Cheques payable to FWA. Application Details: Applications for permits by post only to the Permit Officer (address above). Applicants should enclose a photocopy of Shotgun and BASC Certificate with Wildlife Habitat Trust Stamp. Alternatively the stamp may be purchased with the permit. Preston-Mafham, (secretary) FWA, who will try to make arrangements on your behalf. (Tel: 01553-760096). There are no professional guides on the wash. Contact: Mr. A. Cochran, 30 North Brink, Wisbech, Cambridgeshire, PE13 1JR. Application Details: Applications by telephone to Mr. A Cochrane (as above). Permits available: Day permits – experienced wildfowlers only. BASC Members only. Contact: Mr. J.T. Amos, 96 Station Road, Tydd Gote, Wisbech, Cambridgeshire, PE13 5RD. Tel: 01945-420359. Permits Available: Day Permit £5 weekly £20. The scheme is run on a daily or weekly basis. Applicants need to send with cheque BASC card and Shotgun Certificate and a club member, which can be arranged with Mr. Amos above, and returns to Mr. Amos also, must accompany guests. Application details: Send with cheque BASC card and Shotgun Certificate and payable to GDEWA. Contact: Billy Frosdick, 14 Oakland’s Close Halvergate, Norwich, Norfolk, NR13 3PP. Permits available: Day Permits - £10.00 shooting on weekday, however different areas are on different days. Application details: Available Details: Available on request. Applicants should supply a photocopy of shotgun certificate and BASC card please. Contact: G.Howe, Greenhill Cottage, 44 Kings dam, Gillingham, Beccles, Suffolk. Permits Available: Day permit £10 Friday and Saturday only - £15.00 per boat holds 2 persons. All cheque’s to RWA. Application Details: The offer is for 2 boats on a day permit basis. Each boat 2 people only. Each permit covers one boat for morning and evening flight (four hours per flight). The shooting is over the Rockland Broad and is restricted to wildfowl only. Additional Information: Applicants should supply a photocopy of their shotgun certificate and their BASC membership card. Shooting duck, geese and game over Rockland Broad and Grazing arable land with river frontage (various locations). Please write for details. Permits Available: Day Permits £20 daily. BASC members only. Permits are issued on first come first serve basis. A maximum of 2- day permits issued per day. Application Details: Applications should be made to Mr. A. Judge (address above) and received at least 7 days before permit required applicants should include BASC card shotgun certificate photocopies and a S.A.E. Payments by cheque to be to Anglian Wildfowlers’ Association. Contact: John Sapwell, 29 Theobalds Road, Leigh on Sea Essex SS9 2NE. Tel 01702-714411. Permits Available: No Permits issued – Limited opportunities for BASC members to shoot as a guest of the club. Application Details: BASC Card and Shotgun certificate copies with application. Contact: E.Wood, 43 St. Nicholas Road, Canterbury Kent, CT1 3UH Permits Available: Weekday only at £10.00 per day. Application Details: Permits available by post only, from the Permit Officer details above. Cheques to be made payable to KWCA. Additional Information: shooting at reculver extends for some 3miles between Relculver Minnis Bay. Access details will be made available with the permit. Contact: Mr. Barry McGuirk, 2 Short Furlong, Littlehampton West Sussex, BN17 6NG. Permits available: Applications for permits to Lee Freeston Tel: 01243-374795. Please note copy of BASC Card and shotgun Certificate is required. Cost per permit £10.00 daily, £5 per flight. No permits first week of season. Payments to be made by cash or cheque payable to CHWA. Additional Information: Permit holders required to be accompanied by a CHWA club member. Returns to Mr. McGuirk (address above).Visits at our cost: 3 you must pay flight cost yourself. Permits Available: All days of the week - £10 daily. Application Details: Applications in the first instance by telephone or email to Mr. Macdonald (see above). Payment’s by cheque, to be made payable to EDWCA. Additional Information: Applicants must supply a photocopy of their shotgun certificate and BASC membership number. They must accompanied at all times by a full member of EDWCA. Wildfowl returns to be sent to Mr. Macdonald (as above address). Traeth Bach National Reserve Crown Foreshore Harlech Tremadog Bay and Artro Estuary Crown Foreshore. Permits Available: Day permits (only 2 permits per week per person) - £10 per day available on any Monday – Friday. For Saturday a member must accompany shooting you. An adult, over 21 must accompany 17 year olds. Application Details: Applications can be made by post or telephone you need to supply BASC Card and shotgun certificate in photocopy form, payments to TBWA. Additional Information: Day permit and shotgun certificate must produced on demand. Only shotguns can be used (not to exceed 8 Bore). No shooting of Greenland White fronted Geese is permitted. Returns to Derek Jones (address above). Contacts: Wil Sandison, Reserve Warden, and Countryside for Wales. Llys-y-Bont, Parc Menai, Bangor Gwynedd, LL57 4BN. Tel 01248-672500. Permits Available: Weekly permits (six days, Monday –Saturday) - £5 per week for residents of Anglesey. Plus £5.00 Wildlife Habitat Trust stamp. Seasonal permits are free of charge. Application Details: Application forms are available from the reserve warden at the above address. Applications should be made one month in advance and must include vehicle make and reg number a copy of BASC Card and shotgun certificate. Cheques payable to C.C.W. Non Toxic shot only to be used. Permits Available: A limited number of permits available for the season at £40.00 each. Junior Club Members pay £20.00. Cheques payable to MVSC. Application Details: Applications should be made to the club officer (name and address above). The issue of permits is subject to an interview with club officials. A copy of the applicant’s shotgun certificate and BASC membership should be brought along when attending interview. Additional Information: A dog capable of retrieving from water must accompany permit holders. Visits at our cost: We will pay £20.00 towards you seasonal permit and £10.00 for juniors. Contacts: Mr. Glynn Cook, BASC Director Wales, The Station House, Caress, Pewees SY17 5HH. Permits Available: Day Permits - £10 per day plus £5 for a wildlife Habitat Trust Stamp. Maximum of 3 consecutive days (two if Saturday included). Non-Toxic shot only. Application Details: All applications in writing, after July 1st and at least two weeks in advance, including a cheque for £15, SAE and copies of shotgun certificate and BASC card. 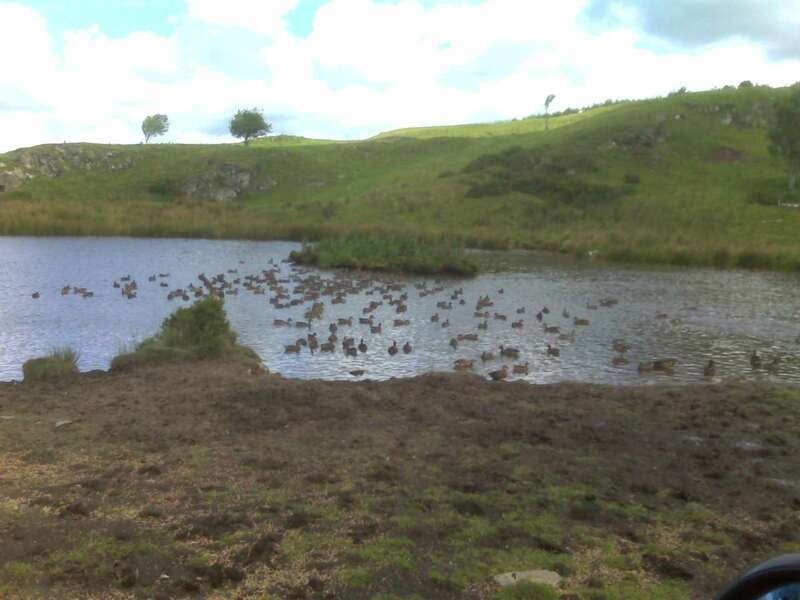 Please make cheque’s payable to the Dyfi Wildfowl Management Advisory Panel. Applications will only be considered from individuals i.e. any person applying for a group will only receive one permit for himself or herself. 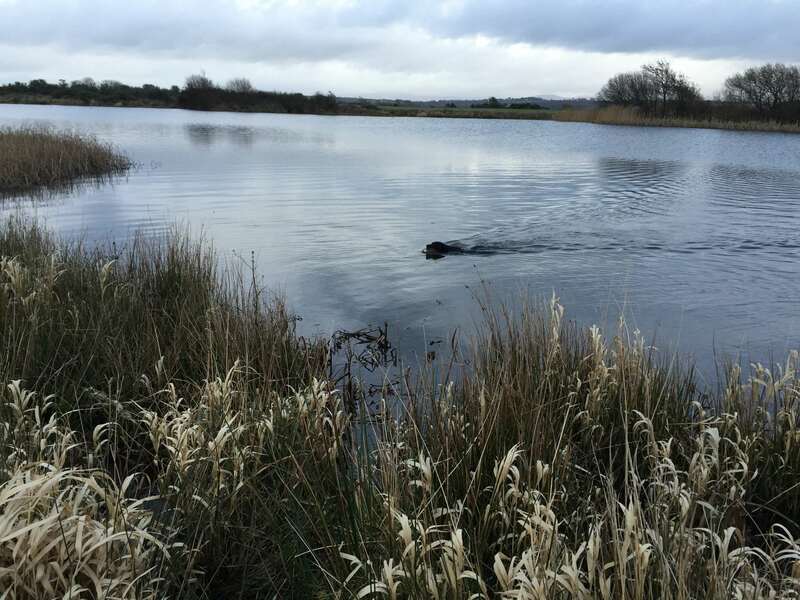 A dog capable of retrieving from water accompanies Wildfowlers MUST. No telephone applications will be considered. Additional Information: No Waders, Shoveler duck or geese may be shot, with the exception of Canada Geese, which may be shot. You must be certain of your quarry. Contact: Kathryn Bell. Law & Administration (East), Fife Council, County Buildings, St Catherine Street, Cupar, Fife, KY15 4TA. Tel: 01334 412919. Permits Available: Applications for seasonal permits (Mon-Sat) accepted up until July 31. 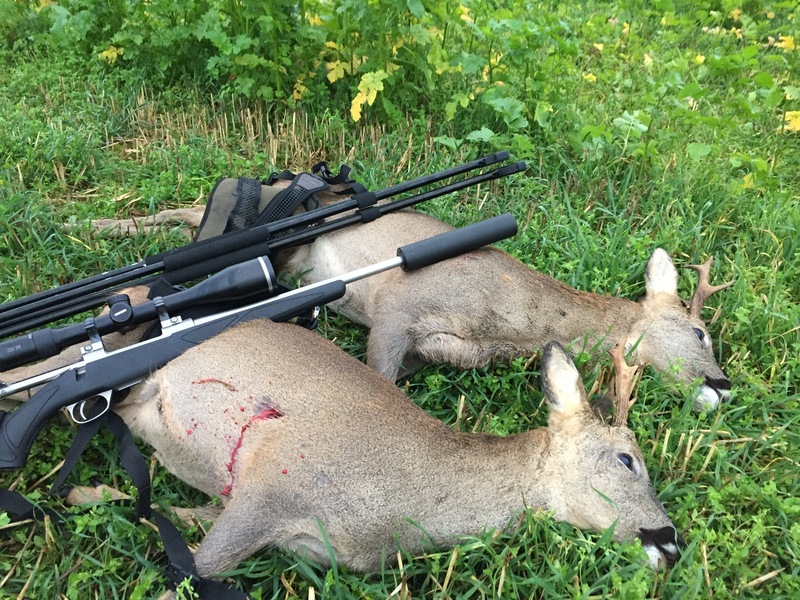 Temporary permits available thereafter (Mon-Fri) – up to a maximum of 15 days shooting. Mon to Friday only. Minimum of 14 days notice is required. Application Details: Application forms available from Early June, contact details as above. Wildfowlers returning permits timeously at the season end are automatically issued with an application form for the next season. BASC membership number should be included with application forms. Additional Information: There is no Sunday shooting and non- toxic shot to be used. Permits should be returned within 21 days of the end of the season, wither or not they have been used. Failure to return permit could attract a 1-year ban, As well as conditions detailed on the permit, its use is controlled by a set of byelaws, a copy of which is supplied. Visits at our cost: Please contact to discuss with me on 07795314934. Contact: May Dickinson, Dept Chief Executive, East Lothian Council, John Muor House, Haddington, East Lothian, EH41 3HA. Tel: 01620- 827322. Permits Available: Seasonal permits available, however numbers are limited to 100 for those living out with the area. Visits at our cost: Please contact to discuss with me on 0702- 1114746. County Buildings, Forfar, Angus, DD8 3WA. Tel:o1307-473175, Fax: 01307-466220. Permits Available: Daily and weekly permits available, £12.00 per day and £60.00 per week. Weekly preferred. Application Details: Applications for permits available from issuing officer by post only, details on previous page. First come first served. No permits to visitors on Saturdays. Applications to include BASC card and shotgun cert. Copies. Cheques payable to Angus Council. Non-BASC members may apply provided they have acceptable insurance cover. (Copy of Policy required). Contacts: Major James M.G.Grant, Roskill House, Munlochy, Ross- shire, IV8 8PA. Permits Available: Day permits - £7.50 per day, Mondays, Thursdays and Saturdays only. Application Details: Applicants should telephone Major Grant (number above) first to ascertain the dates you wanted are free. At this point a booking can be penciled in for you. You must then send a note of address and telephone number of place you will be staying. An up to date original BASC membership card copy of Shotgun certificate with permit fee and SAE, for return permits should be included. Cheques to Black isle and Mid Ross Wildfowlers Club, a code of conduct will be issued together with permit. Additional Information: Wildfowl returns should be sent to Major Grant (address above. House, The Crichton Bankend Road, Dumfries, DG1 4ZE. Tel: 01387- 247010. Permits Available: Single day or week. No fee but permit holders must return permit on expiry whether or not it has been used. Maximum block, which can be booked, is two weeks at any one time. Application Details: Application forms are available from the permits issuing officer detailed above, Applications for permits accepted from July1 onwards, applications received before this date will not be considered. Permits are issued on a first come first serve basis. Additional Information: Applications should be made at least one week before permits are required and include your Shotgun Certificate number and name of issuing constabulary, plus BASC membership number. Only non-Toxic shot may be used for all bores of gun.Visits at our cost: No Cost. Clarencefield, Dumfries, DG1 4NA. Tel: 01387-870699. Permits available: Day - £6, week - £30, no Sunday shooting. Application Details: Applications to the above, together with SAE, permit fee and proof of BASC membership. Application Details: Applications should be made at least 7 days in advance of permit use. A permit holder must accompany applicants under 17 over 21 years. Insurance cover of £2 million required. Additional Details: There is no charge for permits to shooting.sh members. Permits are available on a weekly basis covering Monday to Friday. There is a maximum of four weeks per permit, and no more than two weeks at any one time. Seasonal permits are available if you live in the DG8DG9 postal areas. There is one application form which is available from the above address, please enclose a SAE. Permits are issued on a first come first serve basis. Byelaws for Wigtown BAY LNR are now in place. Non –toxic shot should be used when wildfowling in Scotland. Visits at our cost: No charge you may visit as many times as you wish subject to the rules above. Contact: Mr. David Thompson, Property Manager, National Trust Wildlife Scheme, Castle Ward, Strangford, Down Patrick, Co Down BT30 7LS. Tel: 02844-881411. Permits Available: Occasional day permits available. Contact the above for further details. Visits at our cost: £20 towards 2 visits. Contact: Thomas McGoldrick, Culleen, Derrylin, BT92 9BA. Tel: 028677-48788. Permits Available: The permit scheme is granted on behalf of the Lough Erne Wildfowlers Council (L.E.W.C.) and is not transferable. The permit is issued subject to the ordinary laws relating to wild bird protection, close seasons etc. Areas over which no shooting is allowed are shown on maps. Which are available or examination from the club secretary. Additional Details: Photocopy of BASC membership card and shotgun certificate to be supplied on application. £25 season ticket, day permits also available. Cheques are to be made payable to LEWC. Please note the above list has been compiled from information gathered currently and may have changed from time to time so please bar in mind that the contact may now be a different person. Tide and Tide Tables: Get a local tide table booklet. Wind direction: Can effect tide so be aware of sudden changes. Periods of Special Protection severe weather (UK Wide): usually prolonged severe conditions, pollution, may be applied ask when booking your days out. List of Quarry Species: Be familiar with what can be shot and what cannot most will supply a list of species on the specific estuary and if in doubt don’t shoot. Restrictions on Lead Shot: I suggest you use non-toxic shot as a safeguard anywhere you shoot. Always carry a waterproof wristwatch: essential for judging the predicted state of the tide. Take food and a thermos containing a hot drink. And water and food for your dog. Wear comfortable inconspicuous, warm waterproof clothing. Waders are normally recommended (I as a full time fishing instructor can get you neoprene waders at discounted cost). A large canvass bag is useful for carrying equipment. Make sure you have with you shotgun certificate and local permit if you intend to shoot woodcock or snipe, a game license is required from your local post office. Quality Binoculars will enhance your day and is useful for bird ID. A wading pole will greatly assist walking on the Marsh and can be used to cross gutters and crossing places. Always carry a pocket compass and know how to use it, it could be your only guide of a foggy marsh. Take 2 bearings as you progress. Always carry a jointed cleaning rod it is easy to get mud or sand or snow in your barrel never ever clear it by firing a cartridge you will damage your gun and could seriously injure yourself. In an emergency a mobile phone would enable you to summon assistance by dialing 999 and ask for the coastguard. Torch flashing and firing flare cartridges are other methods of attracting attention. Do not disturb local residents near access points by making a noise or banging car doors when arriving early in the morning, or leaving late at night. Never arrive late, or depart early, and so disturb the shooting of those who have taken the trouble to get into position in good time. Do not shoot in the immediate vicinity of houses adjoining the shore; be aware of footpaths and never shoot in a way that endangers people using them. Make sure you are well hidden; camouflage yourself to suit your surroundings. Try to make your dog comfortable – if you sit on your game bag make sure your dog has a dry seat. Look regularly through your gun barrels to see if they are clear. Range judging, when wild fowling, is particularly difficult. Try to ID nearby features that can be used as reference marks so that you do not shoot beyond your own shooting skill distance. On leaving the marsh your dog may be cold and wet – attend to its needs before your own a clean dry towel to dry it of and a second wrap towel will ensure comfort. Take care of your quarry- don’t waste it. Pay special attention to your gun – sand and saltwater will corrode it. Check for faults, which may need rectifying before the gun is used again. B. Open/shooting seasons for wildfowl (ducks and geese) and other species according to the above acts (all dates inclusive). Scotland in or over Any area below the mean high water mark of ordinary Spring tides. Wildfowl in England, Wales and Scotland Elsewhere. C. Birds, which may be killed, or taken by permitted means at any time by authorized persons, were previously listed under schedule 2, part11 (applies to both Acts) and are now held under a series of open general licences. No individual need apply for these licenses or account for the shooting under them. They allow for the control of the following species for the specific purposes listed on each license. It is important to comply with the conditions on each license. For further details contact BASC. Before the passing of the Wildlife and Countryside Act 1981, orders prohibiting the shooting of wildfowl on Sundays were made under the Protection of Birds Act 1954. These orders have not been rescinded and so the following counties/part counties are still affected: Angelsey, Brecknoth, Caernarfon, Carmarthern, Cardigan, Cornwall, Denbigh, Devon, Doncaster, Glamorgan, Great Yarmouth County Borough, Isle of Ely, Leeds County Borough, Merioneth, Norfolk, Pembroke, Somerset, North and West Ridings of Yorkshire. Wildfowl and waders may not be shot on Sundays or Christmas Day. All wild birds protected on Sundays, Christmas Day and at night. Below the mean high water mark of ordinary spring tides. September 1 – January 31 inclusive. also illegal to shoot wildfowl on Sundays in certain counties/part counties in England and Wales. All wild birds are protected on Sundays and Christmas day in Northern Ireland. Night shooting is prohibited in Northern Ireland. Anyone planning a wildfowling outing on a Sunday or Christmas Day should check local byelaws to ensure they do not inadvertently break the law. The Wildlife & Countryside Act 1981 and Wildlife (Northern Ireland) Order 1985 provide for periods of special protection for all wildfowl (including mallard), in emergencies such as prolonged severe weather. Prior to such statutory protection being introduced the BASC may recommend voluntary restraint. Details of the suspension of shooting due to severe weather are posted in the national press and sporting magazines. Information and guidance is made available through BASC regional offices and the BASC website.